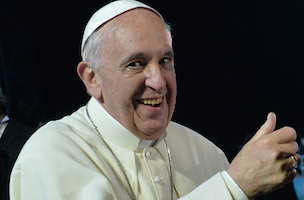 Pope Francis is one rad dude. He’s been named Time’s Person of the Year and he’s graced the cover of Rolling Stone. But Francis is much cooler than that. He’s so hip that he’s even getting his own magazine. Forget being considered important because you lead an organization founded on fairy tales — you know you’ve made it when you get your own fanzine. 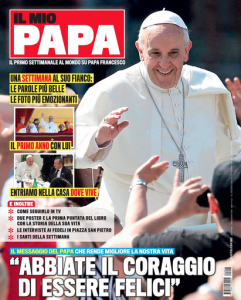 Titled Il Mio Papa (“My Pope”), the glossy is being produced by Italian publishing house Mondadori. Each issue will feature photos of Francis, some quotes, and insights into his daily life. Aldo Vitali, My Pope’s editor, told The New York Times that the magazine won’t be sensationalistic. “We aim to be more respectful, more noble [than gossip magazines],” he explained. It might be a tough climate for print, but My Pope has a recipe for success.